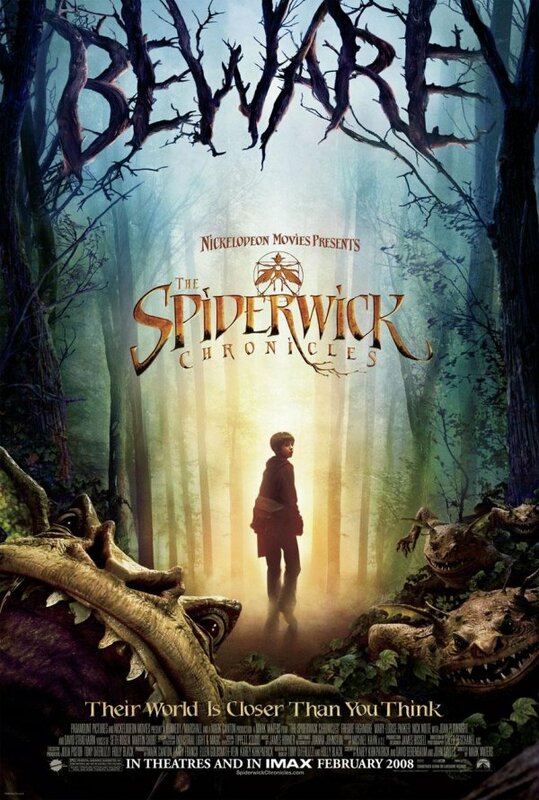 This new Spiderwick Chronicles poster uses much of the image of the first poster, but adds some darker colors, a few little monsters and a beware sign. So, it basically turns what was a teaser poster that hinted at the possibility of magic and danger into a poster that shows us those things. It also does something else very important: it clearly places the movie as being for children. 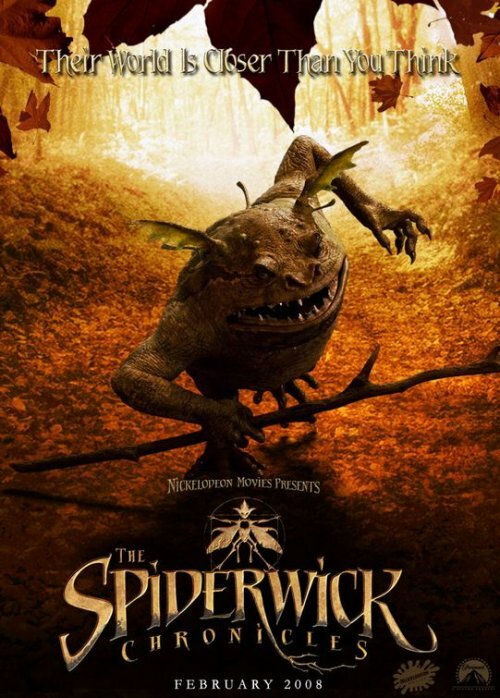 Unlike The Golden Compass, I don’t think that Spiderwick wants to be a broad hit like Narnia or LotR which appeals to children, teenagers and adults. I’m sure that they would be happy if that was to happen, but they seem to be aiming for something much narrower: a movie that appeals to kids and that doesn’t scare the parents away. This is, after all, a Nickelodeon production. With that goal in mind I think that the poster work just fine. The new elements, the beware sign, the monsters, are just the right amount of scary. Which is to say they aren’t scary enough to make the kids run away or to make the parents cautious about taking the little ones to the movie theater. I’m sure that at the same time they are likely to alienate older teens and childless adults, but like I said, I don’t think the marketing is really trying to get that crowd anyway. The other new poster is below, and it showcases one of the creatures. It’s not bad, but it also doesn’t add much. Notice the resembelence to the poster for Pan’s labyrinth?